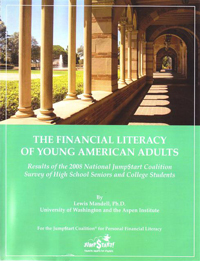 Lewis Mandell is the author of over twenty books related to consumers and finance. His latest work is What To Do When I Get Stupid: A Radically Safe Approach to a Difficult Financial Era (2013). In it he presents studies showing that our skills to understand and analyze financial decisions declines with age and what are the implications of that fact. He outlines an approach in his book that individuals can use to protect or insulate themselves from the inevitable risks associated with this reduction of analytical financial skills. Dr. Mandell is a behavioral economist, Professor Emeritus of Finance and Managerial Economics and former Dean of Business at the State University of New York at Buffalo. Mandell's work has been reported nationally by NBC News, NPR, The New York Times, USA Today, The Washington Post, CNN and other media throughout the country. 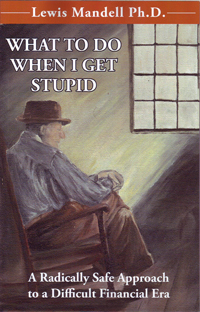 For more information on the author and a complete list of his publications go to http://www.lewismandell.com/.